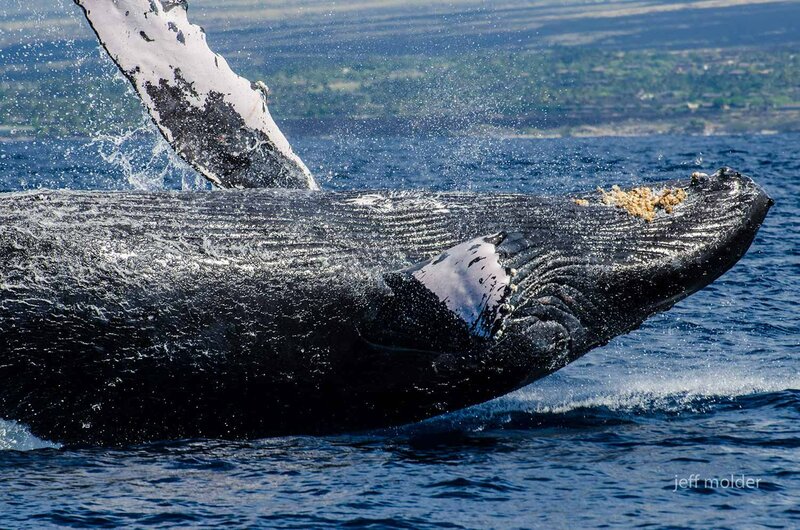 If you visit Kona, Hawaii between the months of January and May, then you’re right on time to take part in a wonderful two-hour whale watching cruise. 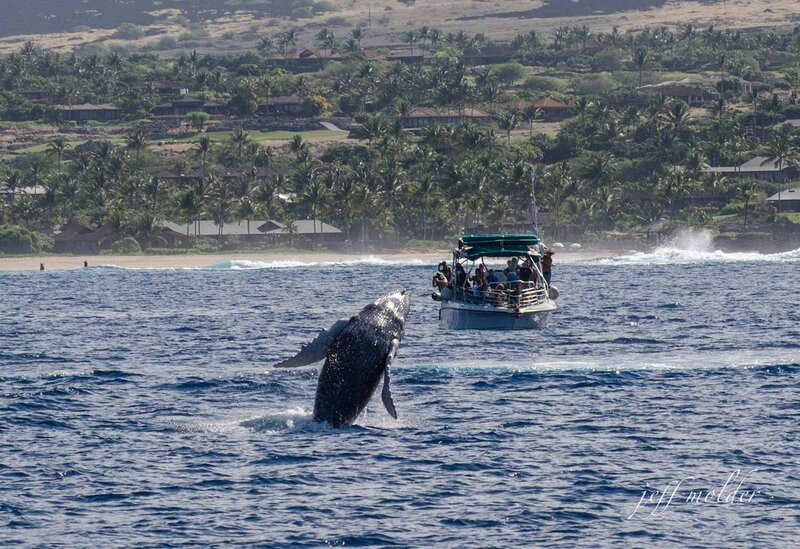 Our large population of humpback whales, (Kohola in Hawaiian), have traveled over 3,000 miles, all the way from Alaska, to enjoy the warm and safe waters of surrounding the Hawaiian islands. The Whale Watch allows you to spend some “time out at sea” and observe these gentle giants in their element. 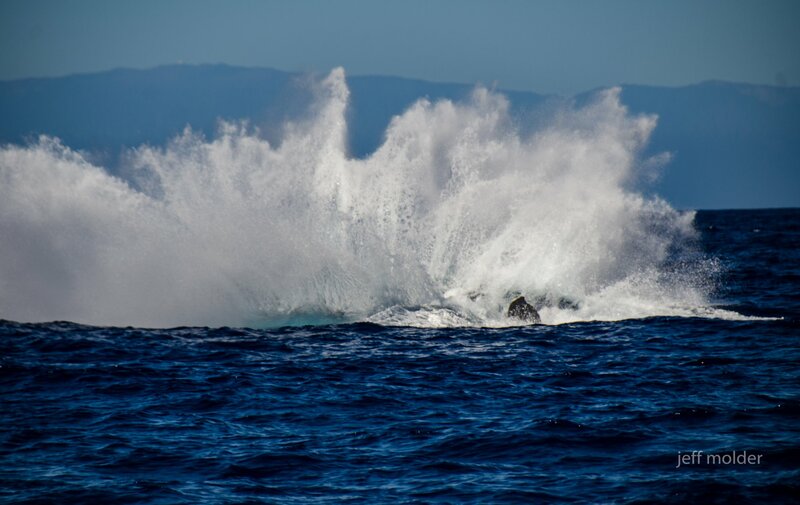 Visitors often see a huge tail crest in the water and might even catch a whale “breaching”, or breaking the surface of the water and falling back in with a humongous splash! Climb aboard our partner's boat to set out in search of whales. 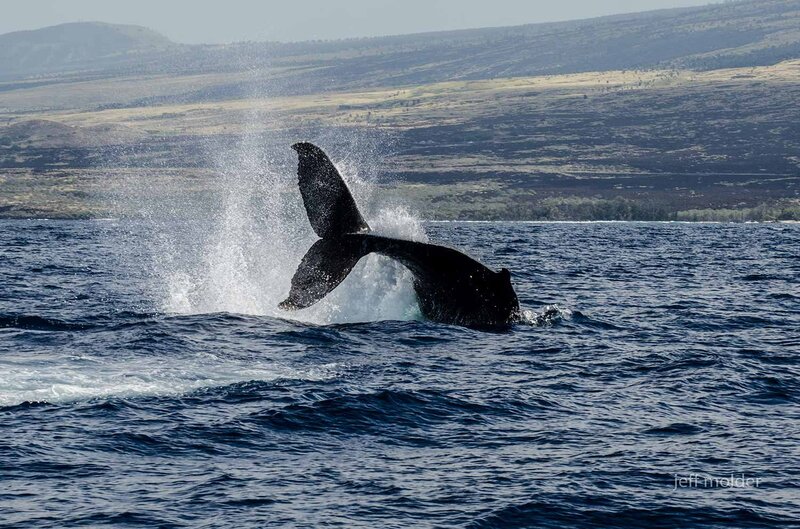 The boat’s speed allows you to cover more distance giving us a better chance of finding whales who can range over many miles along the Kona coast. Sometimes the whales are shy, so just be patient, and eventually, we’ll spot a spout to help lead the way. 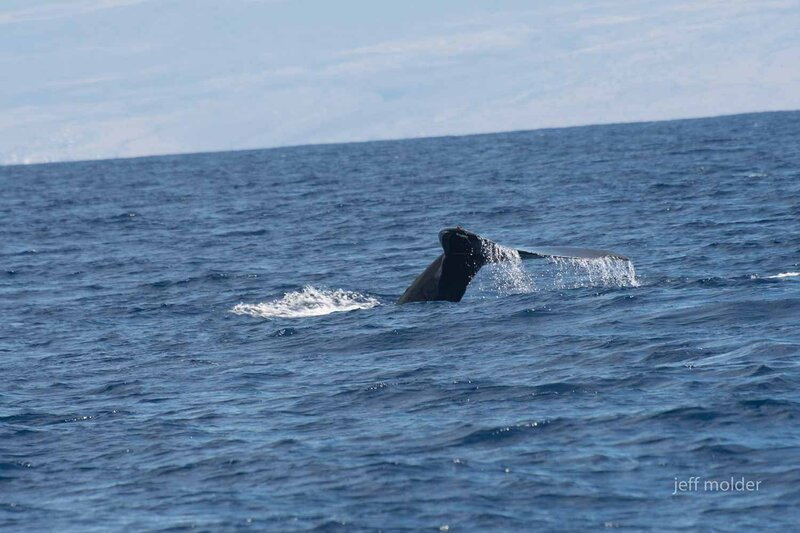 Throughout the journey, the helpful guide will tell you all about Kona’s humpback whales, their long, yearly migration down to Hawaii each year, and the important place Kohola have in the history of Hawaii.